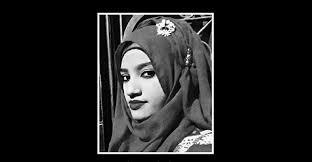 Share the post "More than just a verdict/ Ali Riaz"
The “verdict” was already known to all of us; the appellate division of the Supreme Court upheld the verdict of the High Court (HC) that the 16th Amendment of the Constitution is “illegal and unconstitutional.” In legal procedural terms, the apex court had rejected the appeal of the government against the HC verdict. The short order of the verdict was delivered on June 3, which made the controversial amendment passed by parliament in September 2014 null and void. 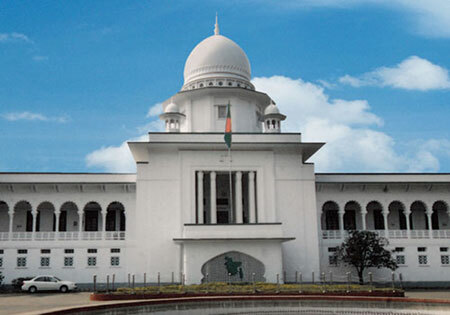 The amendment had abolished the chief justice-led Supreme Judicial Council and empowered the parliament to impeach judges of the Supreme Court for incapability or misconduct. The High Court categorically said that the amendment was “against the principles of the separation of state power and the independence of the judiciary.” Therefore, the full text of the verdict of the Supreme Court was not expected to have any surprises. But the full text, released on August 1, not only contains what was expected of it—the rationale for the decision of the court and its position on the issue of separation of powers between the executive and the judiciary—but also addresses far more significant issues in its 799-page verdict; it provides a narrative of the state of the nation. The tone, tenor and content of the verdict make it one of the most important historic documents of the country since its independence in 1971. The chain of events which led to the verdict is somewhat banal. On November 5, 2014 nine Supreme Court lawyers filed a writ petition on the validity of the amendment and the HC ruled on May 5, 2016. The government filed an appeal challenging the HC decision on January 4, 2017. In less than a month, on February 8, the full bench of the Supreme Court appointed 12 senior jurists as amici curiae seeking their opinions. The hearing was concluded on June 1, followed by the verdict on July 3 which upheld the HC verdict. For a layman, the verdict was plain and simple: the SC has rejected the government’s appeal. Before and during the hearing of the appeal it was evident that the judiciary and the executive are at loggerheads. It’s not unusual in a democracy that the executive and the judiciary have a latent tension; it is the responsibility of the judiciary to protect citizens from the excesses of the executive branch. The relationship between them has been discussed and debated for long, by political scientists and politicians alike, and there is an agreement that separation of powers and checks and balances are essential for democratic governance. In a parliamentary system of government, the line between the executive and the legislature is very thin, particularly in countries where the ruling party has no inclination of keeping these two separate. 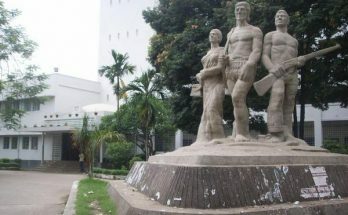 The Constitution as well as the political culture of Bangladesh has practically erased the differences between these two branches. Not only in Bangladesh, but also in other South Asian countries, a party with a super majority in parliament (i.e. two-thirds of the seats) has, in almost all instances, undermined the separation of power and had weakened the democratic institutions (Ali Riaz, “The Curse of the Two Thirds”, How Did We Arrive Here?, 2015). The tension between the executive and judiciary tends to become a battle—between the judiciary on the one hand and a combination of the executive and the legislative branches on the other. The strained relationship between these two branches has come to light at several times in the past years. 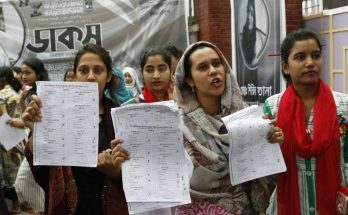 Since the historic Masdar Hossain case of 1999, particularly the 12 directives of the Supreme Court issued in 2001, the issue became a matter of public discourse. The contention between the two branches was in full display since the issue of the 16th Amendment reached the court. The outburst of the lawmakers on July 9 after the SC verdict essentially demonstrated why it is necessary not to entrust them with the task (“MPs’ outburst says it all about the 16th Amendment”, Prothom Alo, July 19, 2017). It is in this chain of legal process that the appellate division of the Supreme Court released the full text of the verdict. In legal terms, it’s the full ‘verdict’ of the Supreme Court, but it is all but a simple verdict. The verdict offers a narrative of the governance of the country since its independence. In that sense, this verdict is a testimony to the maladies of the current political system. These statements can be read as a “lament” or a “desperate cry,” but the most important question is where does the nation go from here? Procedurally speaking, the government can go for a review of the verdict, but what is described in the verdict cannot be wished away. It is the stark reality of a nation which came into being with promises of egalitarianism and justice. It won’t be surprising if the ruling party brushes it aside and continues to pursue the “business-as-usual” politics and governance. The reaction of the finance minister does not send a positive message but can conscientious citizens do the same? This is particularly important in light of the current state of politics which marks the absence of accountability, growing intolerance, belligerent rhetoric and shrinking space for dissent.